Malvasia is not a particular grape, but rather a family of fairly similar white-wine (mostly) grapes, all presumed to be ultimately of Greek origin but now grown all over the wine-making world. 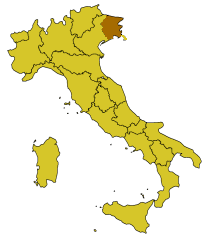 Wines from this family (84 internationally recognized varieties exist) have been important in the wine trade since antiquity; as Jancis Robinson points out, in the time of the Venetian Republic, the very word for wine shop was malvasie (and the Friuli region around Venice remains a center of Malvasia winemaking today). The Malvasia family is remarkably diverse, producing both dry and sweet wines, and both white and (though unusual) red. 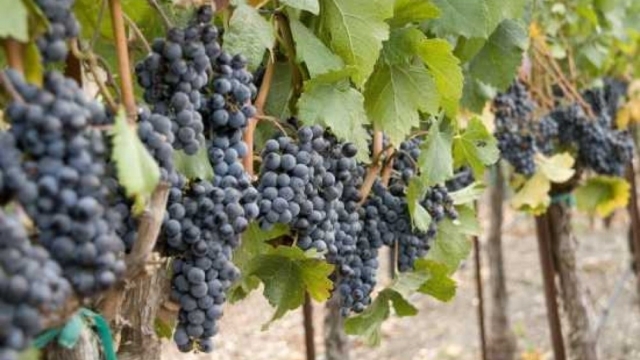 The best varieties are generally considered to be among the dozen and a half or so of world-class red-wine grapes (those in boldface in the dropdown varietals lists up the page). All types told, the family is one of the dozen or so most-planted wine grapes in the world. Probably the chiefest variety for wine-making purposes is the ancestral Malvasia Bianca; most but by no means all of the other members of the Malvasia family generally resemble Bianca in their characteristics (Malvasia di Candia and Malvasia Nera are probably the major exceptions). A reasonably full list of the family members, with comments, can be found at Wikipedia. Besides Malvasia Bianca, the Malvasia-family wine an American consumer is most likely to encounter for table wines is Malvasia Istriana, from the Friuli region of Italy around Venice, or Malvasia di Candia, which is a type so different in both expression and DNA that many argue it to be a distinct variety. There are also countless dessert wines (and even sparkling wines) made from one or another Malvasia grape (including Malvasia Candida, from which most Madeira is made). Malvasia is frequently used in blends, to provide a little life to otherwise dead-dull bottlings of inexpensive, highly productive grapes (such as Trebbiano). Monovarietal bottlings of table-wine (that is, dry) Malvasia are relatively scarce, at least in the U.S.
Malvasia wines are quite distinctive, and urgently need to be appreciated for what they are, and not looked at as parallels or analogues of other types. Probably the chief distinguishing characteristic of a table wine made from Malvasia Bianca is its profoundly powerful, aromatic (but not cloying) nose—very floral. Many people trying their first dry Malvasia take one sniff and assume it will be some heavily sweetened goop, and are surprised ("shocked" might not be too strong a word) at its dryness. It is a big mistake to expect well-made Malvasias to be "sippers", because they are a lot more than that, and the novice taster who is disappointed that the wine "is too dry" is just plain missing the point. Malvasia (like those others mentioned just above) is a grape that tends to high sugars, which typically translates to either high alcohols or residual sugars, which is why it is so often used for dessert wines. But when vinified dry, with care and respect, it makes one of the most distinctive and significant of all white wines. 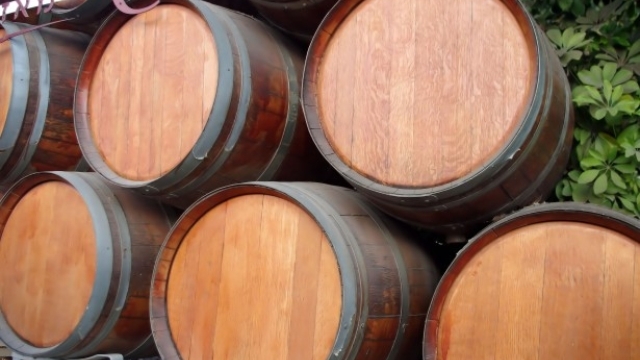 Factoid: Malvasia is the grape of the "Malmsey" wine often referred to in Shakespeare's works; today, the term is used to refer to certain types of Madeira. "Given the broad expanse of the Malvasia family, generalizations about the Malvasia wine are difficult to pin point. Most varieties of Malvasia are derived from Malvasia bianca which is characterized by its deep color, noted aromas and the presence of some residual sugar. The red varieties of Malvasia tend to make wines with pale, pinkish to light red color. In their youth, Malvasia wines are characterized by their heavy body that is often described as "round" or "fat" and soft texture in the mouth. Common aroma notes associated with Malvasia include peaches, apricots and white currants. Red Malvasia wines are characterized by a richness and chocolate notes. 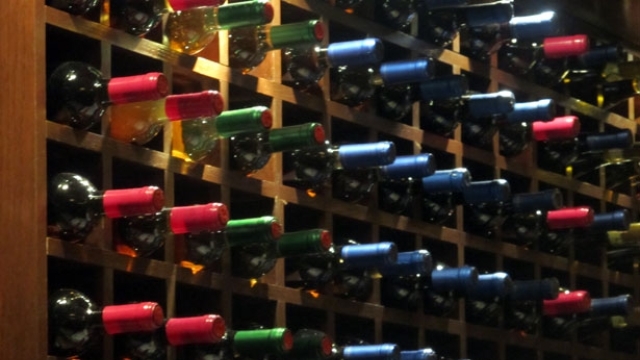 Fortified Malvasia, such as Madeira, are noted for their intense smokey notes and sharp acidity. As Malvasia ages, the wines tend to take on more nutty aromas and flavors though many Malvasia have a short life span of only a few years after vintage." "Similar to Semillons and Sauvignon Blancs, you'll find many of the same tropical fruit notes on a Malvasia Bianca, but with one noticeable difference: Malvasias have a very distinctive perfumed scent to them. Lots of floral scents such as hibiscus and hyssop, and even some more herbal or vegetal scents, such as green olive. Sniffing a glass of Malvasia Bianca can be equated to walking through a citrus orchard just as the trees are launching into bloom. Lots of fragrant but not overpowering or cloying floral and tropical aromas. The flavor of a Malvasia Bianca will often depend on the amount of residual sugar left in the wine. More sugar left post-fermentation will result in slightly sweeter Malvasias, while little to no residual sugar means, you guessed it, dryer and crisper wines. Flavor-wise, Malvasias will have lots of the same tropical and citrus flavors smelled earlier: papaya, guava, some pineapple, regular apple, maybe some tangerine as well. The wines often have a very soft, sometimes even slightly viscous or oily mouth feel to them, and they can finish very long, sometimes with a bit of rind-like bite on the back end. Either way, these are very easy going wines that drink very smoothly and can flexibly handle lots of different flavors." "It's [a] specific and discreet aroma which reminds us of acacia flower fragrance especially if the grapes are from the higher and sunny positions. Fruit aromas that usually dominate are apple, plum and apricot. When the wine is mature there's a certain bitter almond taste too." "Whether sweet or dry, Malvasia Bianca offers delightful aromas and flavors of honey and ripe Bosc pears with hints of allspice. Round, lushly fruity flavors and a plush texture lead to a finish that is determined by the degree of residual sugar and the cellar treatment. The lightest versions offer a clean, crisp finish, while those aged in small barrels may display light tannins and a hint of vanilla. Sweeter, more opulent versions linger on the palate. Aging: None on the lighter renditions; two years for the full-bodied dry ones." "The Malvasia Nera wine smells a bit like chocolate covered dried cherries. 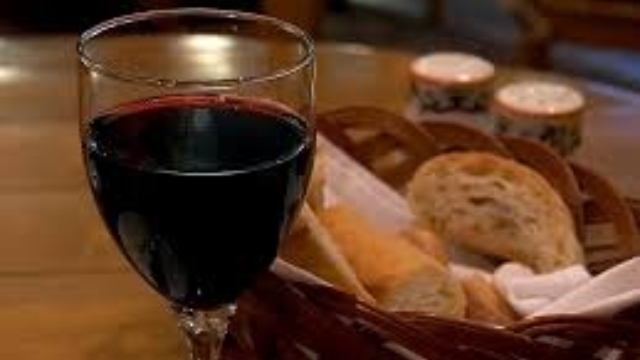 On the palate the wine is with medium acidity and medium tannins. There are flavors of cocoa with a touch of dried cherry and black fruit. It is bitter, earthy chocolate and coffee flavors. Even though it has weighty body on it, it tastes soft and austere, because there is practically no fruit flavor to the taste." If one believes the wine search engines, there is not a lot of dry Malvasia to be found in America. And, whether this is chicken or egg, neither are there a lot of credible (third-party professional) reviews of dry Malvasia table whites. Our own experience suggests that there is a deal more of this wine, both Old World and New World, in shops than the search engines show; when in a wine shop, keep an eye out for any Malvasias, especially Old World samples—they are probably worth a go. Curiously, some of the most available Malvasias were neither Biancas nor Istrianas—the two commonest sorts—but rather Malvasia di Candia (and especially the "Aromatica" clone of di Candia), as noted up-page, a grape sufficiently different from almost all other white Malvasia types that some consider it a distinct varietal. There is also in recent years an uptick of New World Malvasias, a charge initially led by Bonny Doon under their "Ca' del Solo" label; sad to say, that one is no longer made, but there are other good ones. ♦ I can’t look at this wine without thinking about spring. . . It's for the striking aromatics – bracing herbal, crystalline mineral and exotic floral notes. Jasmine, chamomile, lime peel and sweet pear lure you into a dry and crisp palate that harkens hazy images of Greek ruins. Fresh perfumed quince, lemongrass, blossom honey, spice and energetic acidity intrigue with each sip and make for a perfectly roguish bottle. . . Owners and winemakers Alex Krause and John Locke aim to "attain the perfect balance of perfume, poise, and puckishness" and they've aced it here. Both Krause and Locke worked for years with Randall Grahm of Bonny Doon Vineyard, and the playful precision of Grahm’s engaging empire is echoed here. ♦ Although it's rich in honey-like flavors, the dry finish makes this more table wine than dessert wine. With extraordinary acidity and flavors of tangerine and vanilla, it’s delicious, but there’s a complexity that sommeliers will find wonderfully challenging to match with food. ♦ Take note of this new label, from Bonny Doon veterans John Locke and Alex Krause. They've found a plot of this aromatic Italian variety near the Santa Lucia range, and with some savvy use of lees they've brought forward a dense texture to rich orange and Anjou pear fruit. It's just the foil for the sappy, floral scents of Malvasia - think nutmeg and rose petal - that burst out of the glass. ♦ A beautiful evocation of this up-and-coming variety. While it’s dry and crisp in Monterey acidity, it shows tantalizing flavors of orange, honey, cream and vanilla. Birichino is leading the Malvasia comeback, which could and should rival Muscat. ♦ Malvasia offers the floral charm that has given Moscato a surprise run, and yet this is far more serious stuff, full of aromatic orange blossom and chewy, tangy fruit. Their source in the large San Bernabe Vineyard lets them work artisanally and yet at scale. ♦ Malvasia bianca grapes tend to be round and have a soft mouthfeel. Common aromas are peaches, apricots and white currants. This wine was watery lemon in colour and had a nice lychee nose. More lychee on the palate along with citrus and a herbal note mid palate. Nice round mouthfeel with slight acidity. I really enjoyed this wine a lot. ♦ [It] has tantalizing hints of oranges and honey, with a clean, dry finish. ♦ Malvasia Bianca is quite stunning on its own as well. . . Why do we not hear about this wine more often? . . I recently enjoyed this particular bottle of Birichino's Malvasia Bianca and highly recommend it. ♦ Crystalline and refined with delicate, tight notes of dusty pear skins, kaffir lime, apricot, marzipan and acacia flowers. Still young and taught, this is the most polished but perhaps most textbook example of the lot – the closest we'll come (for now) to mainstream malvazija. ♦ [Google-translated from Croatian:] The wine is straw yellow in color with green hues. Fresh and fruity (citrus - grapefruit, lemon + green apple) with a hint of herbal notes. Maturity and a rounded wine reaches 9 / 09th Solid body, fullness and slightly pronounced minerality. In the mouth with a pleasant acidity gives a pleasant freshness. In the aftertaste and a slight bitterness on almonds. Recognizable varietal and smooth. ♦ [Google-translated from Croatian:] Too long to quote, these are long-ish reviews of six vintages of this wine; click the diamond to read them all. ♦ Full bodied with subtle white flowers, green apple and slight tinge of petrol on the nose. Refreshing acidity and lingering minerality on the finish. ♦ Gently perfumed, touch phenolic, hint of marshmallow. Fine, dry, touch mineral, bit heavier than the others, but the overall sensation of lightness is still very pleasing. ♦ [A] straw yellow wine, clean and crisp, with slightly fruity bouquet and good minerality. After some agonizing, we decided that a wine that critics only rate, on average, a point or so higher than those listed above is not worth paying roughly twice the price for, so we do not list a "splurge" Malvasia.